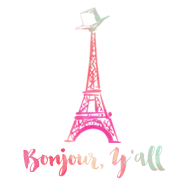 Bonjour, Y'all: 5 :) + Our vacation! 5 :) + Our vacation! This week has had some HIGH highs and some LOW lows... 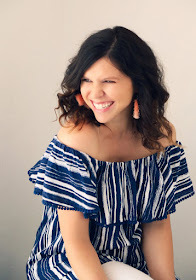 The HIGHS consisted of our big France announcement finally going public, Logan successfully turning in his 2 weeks notice (a very nerve-wracking thing to do), and BABY LAINE ZINDEL being born!!! The LOW included me getting in a car wreck this week on my way home from work and dealing with insurance crud when we are literally selling my car in less than 3 weeks... VERY irritating timing and $$$ that we have been saving up, wasted. blah. My 5 :) for today are geared toward the BEACH. 2. Sunshine and Palm Trees. 3. Packing essentials. (I am going to keep reading The Memory Keepers's Daughter - its SO good! Then venture onto The Help which I have heard great things about! ) - I don't know about you, but traveling / vacationing is the only time I actually get a chance to read, so I am looking forward to it! 5. Naps on the hammock + front porch coffee and reading. I may or may not be posting next week depending on our internet connection, but I hope you all have a lovely weekend! Thanks so much for all the sweet outpouring of support via this blog, twitter, facebook, emails, etc. concerning our move. It is so encouraging to us and further affirmation that this is the right thing to do for our family! We are SO sorry about your wrecking your car!! But SO glad you're OK, or at least we assume you are, since you didn't say otherwise. Just another opportunity to trust God for His provision and thank Him for His protection. Wish it had been otherwise, yet glad y'all are still getting a chance to get away. We don't EVEN want to think about your being across the ocean from us, but are thrilled for your adventure to continue. Know that we love you both and will pray for a terrific experience. Hope to see you guys before we leave in August! Love you both!